When you pull that glass out of the cabinet and fill it up, the last thing you want to taste is hard, unpleasant water. You want something crisp and fresh - the best tasting water you can get coming out of your tap. We all need to drink plenty of water every day, but this is harder to do when you don't like the taste of your tap water. If you're experiencing a foul smell or metallic taste to your water, there are a few things you can do to make it better. Or maybe you just want to increase your water intake but need some added flavor. Below, Advanced Water Solutions will take a look at some of the options available to make water taste better. If you want a more crisp taste as you sip on that cold glass of tap water, there are a couple of easy solutions you can try. You can start by simply purchasing a water filtration system that hooks right onto your water faucet at the sink. Once attached, you flip a switch on the device, and the water pouring from your tap will be filtered through the system as it flows. If you don’t want a bulky appliance added to your faucet, you can buy a water filtration pitcher. Simply fill up the pitcher with water from your tap and set it in the fridge to chill. Then as you want that glass of water, just fill it up with the water from the pitcher. If your entire home is in need of better water due to hardness or any other issues, you can look into installing a whole home water filtration system. Not only will your drinking water taste better, but your clothes will wear out less and your shower water will be less harsh on your skin and hair. No matter your reasons, there are several options for you to get great tasting filtered water in your glass. Fruit Infuser Water Bottle - You can purchase a water bottle that comes with a fruit infuser attached to it. Simply fill the little infuser tube with your favorite fruit, and let it sit with the water a bit before you drink it. This allows the water to pick up the fruit flavor without getting bits and pieces of fruit floating around. Steep Water Overnight - You can place your fruit in the bottom of a big pitcher and fill it with water at night. Let it sit overnight and fill your water bottle or glass throughout the day with the water from that pitcher. This gives you the flavor without the fruit actually sitting in your glass. Infuse with Herbs - Steep some herbs and then add that liquid as a concentrate to your water. You can add fruit as well to give your water even more flavor. Premade Additives – There are tons of options available at the store to add to your water for more flavor. Pick your favorite brand and flavor and mix it in! If the water coming out of your tap is fine, but you need some added flavor to help you drink more, there area few things you can naturally add to your water that actually give it some extra health benefits! Cinnamon Sticks - Steep a cinnamon stick in a cup of hot water, and then use that liquid as concentrate to add to your cold ice water. The cinnamon will help with blood pressure and cholesterol issues. 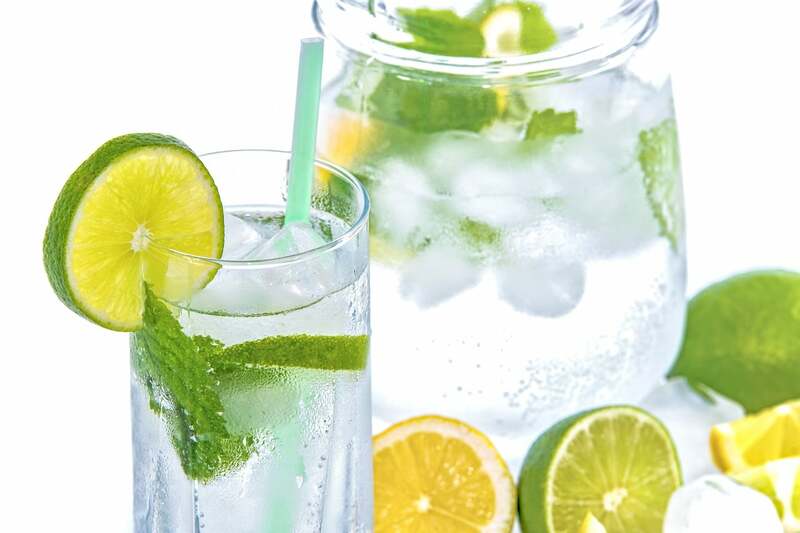 Cucumber and Lemon - Infusing these two things into your water can not only give it some new flavor, but it will also help shed water weight and help curb your hunger. Rose Hips - If you grow your own roses or know someone who does, consider harvesting some rose hips. Adding these to your water will add some good vitamin C to every glass. Whether you just want your water to taste better, or if you need some type of water filtration system for your home’s water supply, there are many great solutions. Make sure your water isn’t too hard and add some great flavors to get your water tasting just right!